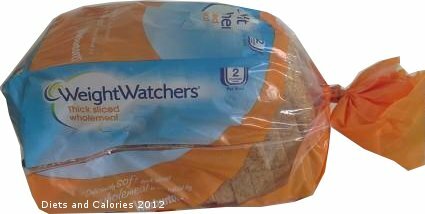 Weight Watchers Thick Sliced Wholemeal is a high fibre, low fat bread with a deliciously soft texture. Although it’s wholemeal, it has a lighter colour than regular wholemeal bread and doesn’t have an overwhelmingly strong wholemeal flavour. This could make it a good choice for those who don’t like the stronger flavour of wholemeal bread. Weight Watchers Thick Sliced Wholemeal bread makes exceptionally good toast but it’s equally as good as a sandwich base, making a really satisfying snack. It’s quite hard to find, though supermarkets which seem to regularly stock it are ASDA and Morrisons. Nutritional Information: Per slice: 71 calories, 2 ProPoints, 2.6g protein, 12.5g carbohydrates, 0.9g sugars, 0.8g fat, 0.1g saturates, 1.9g fibre, 0.3g salt. Suitable for vegetarians.